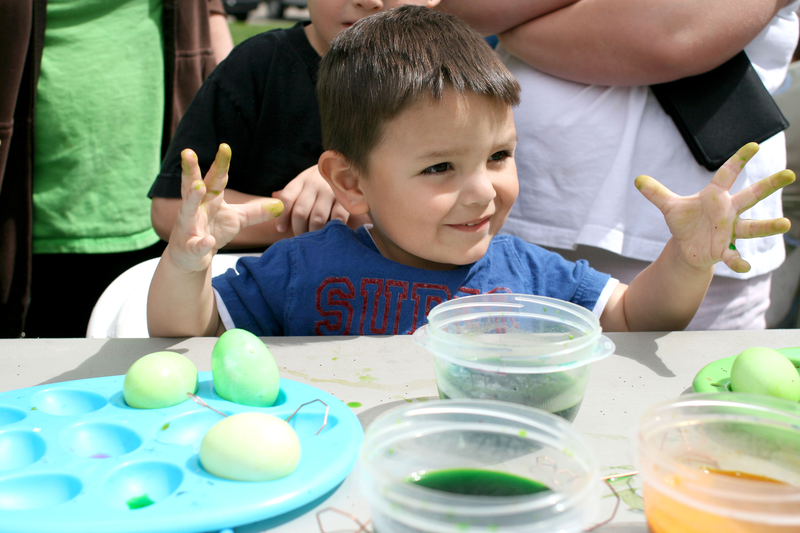 Yhazzy Bright, 3, holds up his green covered hands after he finishes dying his Easter egg. 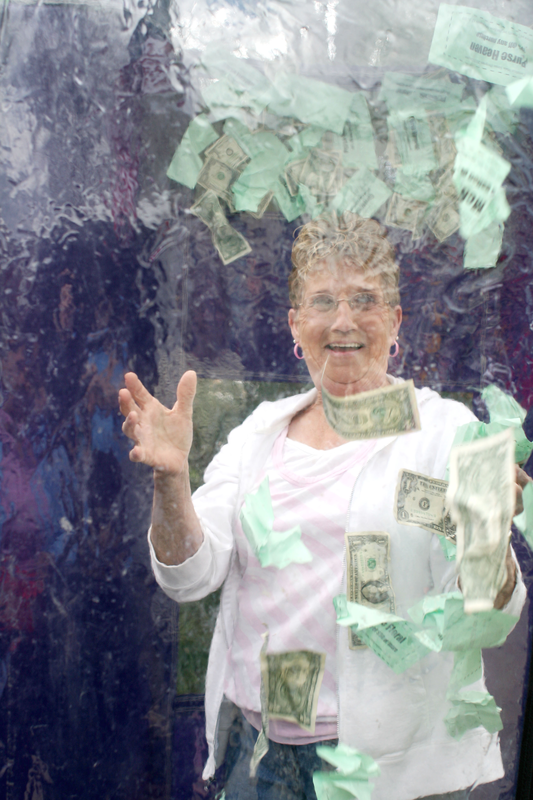 Jenaette Montgomery tries her best to catch as much cash and coupons as she can during her trip to the cash cube. 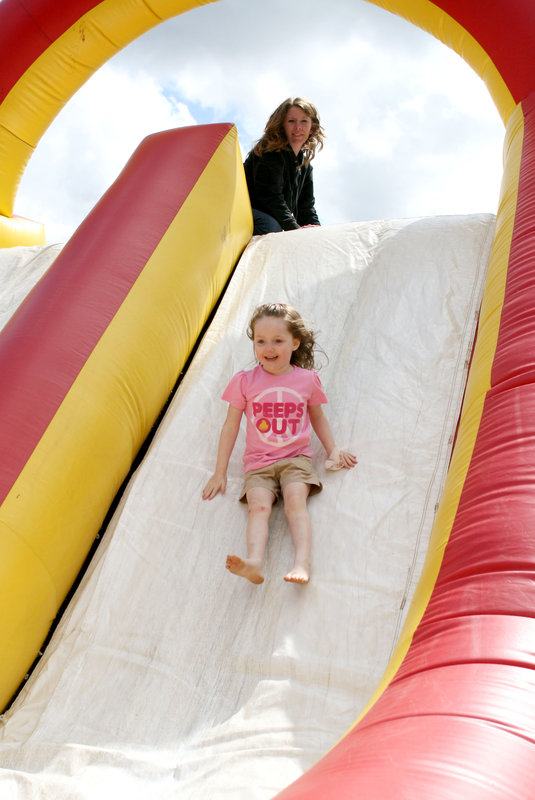 Abby Louden, 4, takes a trip down the inflatable slide. 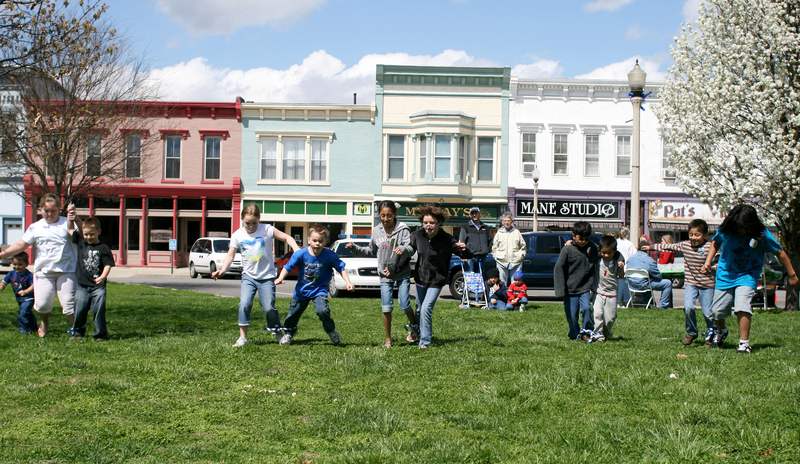 Kids compete in the 3-legged race during Easter on the Square. 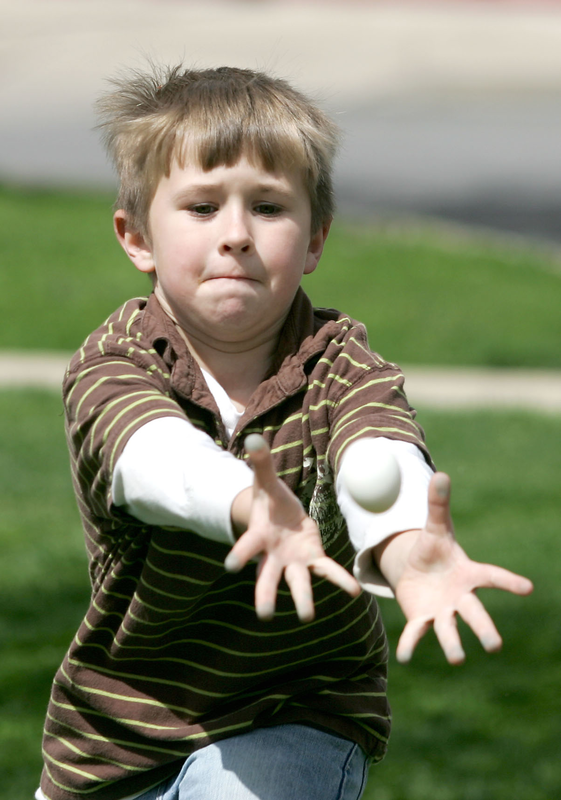 Children in the 0-5-year-old division scramble for Easter eggs.